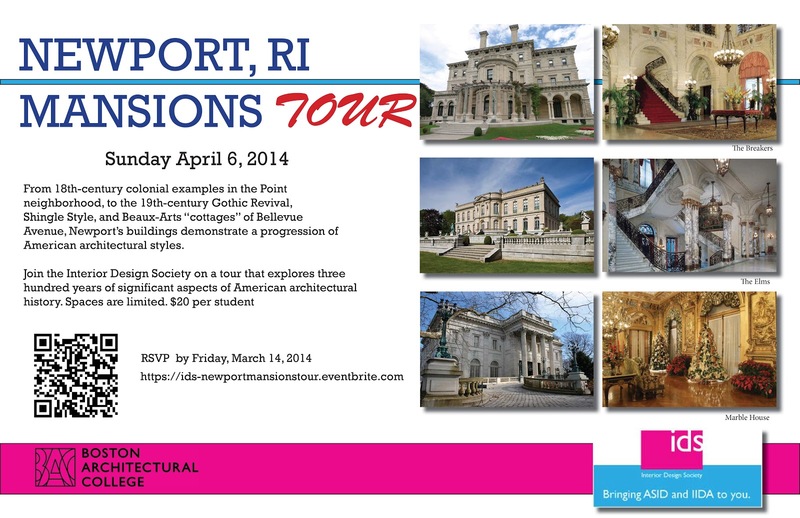 Come join the Interior Design Society on a guided tour of the Newport Mansions in Rhode Island. This tour is open to all BAC students. Come explore three hundred years of significant aspects of American architectural history. From 18th-century colonial examples in the Point neighborhood, to the 19th-century Gothic Revival, Shingle Style, and Beaux-Arts “cottages” of Bellevue Avenue, Newport’s buildings demonstrate a progression of American architectural styles.